How Much Money Should I Have Saved to Send 3 Children to Harvard? A degree from Harvard is a costly investment. 2. Can I Deduct a Dance Tuition From My Federal Taxes? Harvard College is consistently ranked near the top of U.S. News & World Report's list of best colleges. 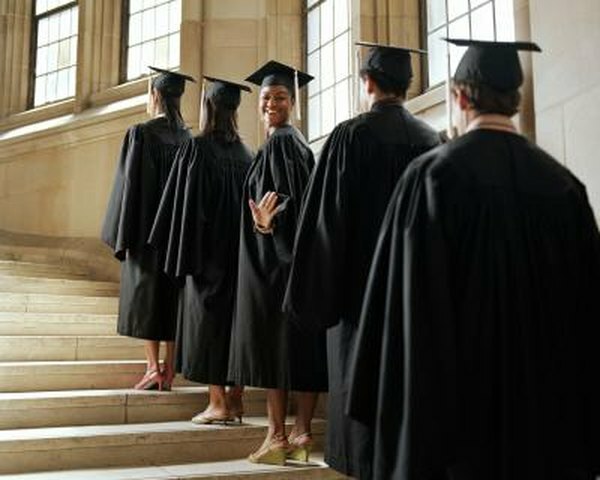 This private school, however, is also one of the most expensive colleges to attend, though 70 percent of its students receive some form of financial aid. The amount you'll need to save depends upon when your children will attend college as well as where they will live and what additional expenses you anticipate they will have. Every year, Harvard establishes tuition costs as well as mandatory fees, so if your children are a few years away from college, tuition prices will likely go up. Tuition for the 2013-2014 school year was $38,891, plus an additional $3,401 in mandatory fees. Consequently, the lowest cost you could possibly pay for three children for four years of tuition and fees at Harvard is $507,504, assuming your children receive no financial aid. According to Harvard College, 90 percent of students live on campus for all four years of their education. Living on campus offers easy access to classes, extracurricular events and friends, and may even be less expensive than living in the surrounding area. For the 2013-2014 school year, dorm living costs were $8,667, while board costs -- which include a meal plan -- were $5,448. To cover on-campus living for three students for four years, you would need around $170,000. Harvard requires that students not covered by their parents' health insurance plans sign up for the school insurance plan, which was $2,190 for 2013-2014. Your children will also have to purchase textbooks, which typically range from $500 to $1,000 per semester, for a total four-year cost for three students that will range from $12,000 to $24,000. If your children don't work or only work part time, you may have to shell out additional money to cover entertainment and clothing. Harvard estimates that students can expect to pay around $3,543 per year in personal expenses. According to the College Board, private school tuition increases at an average annual rate of about 2.3 percent. If your children are still several years away from college, you'll need to account for this inflation rate in your college savings plan. Encouraging your children to perform well in school can boost their chances of receiving a scholarship, and completion of a Free Application for Student Aid will make you eligible for student loans and government grants.